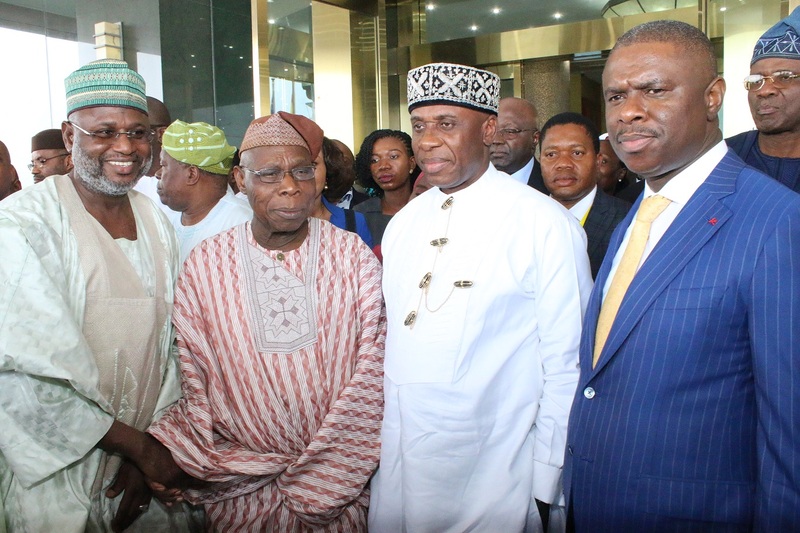 Obasanjo stated this speaking as the Chairman at the opening ceremony of a two-day stakeholders’ conference on the maritime industry tagged, “Building a Sustainable Maritime Industry in Nigeria,” organised by the Federal Ministry of Transportation. The former president said that most countries that have attained greatness utilised the available resources in their maritime environment. He highlighted the opportunities in the Nigeria’s maritime industry to include the vastness of its coastline and huge population. He also called on the government for more commitment by bringing in professionals in running the affairs of the industry, in order to make Nigeria a key player of maritime activity in the African region. He bemoaned the level of underdevelopment in the sector over the years, and called on the Federal Government to put mechanisms in place to sanitize the sector for greater efficiency and productivity. In his keynote address, the Minster of Transportation, Rt. Hon. Rotimi Amaechi reiterated the Federal Government’s commitment to reviving the National Shipping Line without government equity contribution, to be solely managed by the private sector. The Minister who also identified corruption as one of the things bedevilling the growth of the maritime sector noted that President Muhammadu Buhari’s administration is determined to stamp out corruption in all sectors of the nation’s economy. Amaechi expressed the present administration’s commitment to the well-being of Nigerians, and noted that “this is a reformist regime and change is not an easy task. He said the era of making laws without enforcement and implementation was over, hence the need for Nigerians to join hands with this government in rebuilding the nation. The two-day conference with a focus to chart a new course for the sustainable development of the Nigerian maritime sector was attended by ship-owners, terminal operators, maritime lawyers and other stakeholders in the Nigerian maritime industry.